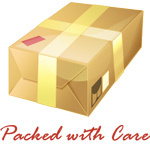 Knowledge Base :: Baby Teething and Amber - Amber Jewelry Store | Online Gateway to Amber Necklaces, Bracelets, Prayer Beads, Baby Teething Necklaces, Pendants, Amber Stones with Insects and Amber Earrings. Many of us know amber as being great and stylish for jewelry. But amber is also a traditional remedy used in different combinations to relieve pain. It has great effects on both adults and children. So it may sound hard to believe, but baby teething and amber work great together. This semi-precious stone is practically a natural analgesic, a pain reliever and an anti-inflammatory known to reduce acidity in the human body with long history use in Europe. The amber stone is a healing stone present in the life of women. It works with body heat to produce its famous calming and relaxing effects. And having it near your baby's skin can calm the little one's inflamed gums, fevers, redness and teething. 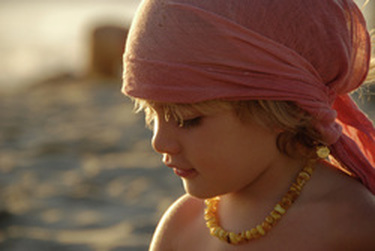 Going back to European traditions, babies and small children with teething problems often wear amber necklaces close to their skins to help fight the pain away, to gain a stronger immunity and to generate well being. Mothers should also take extra precautions and make sure the baby wears the necklace and does not chew it. Baby teething amber necklaces are not for chewing and they also are not recommended to be worn during night time. They are recommended for babies who are between three months and two years old, so your child can't wear it under the age of 3 months. He or she can wear it even when older, as there is no need to take extra precautions for children who have developed their first language acquisition process. And it looks great on both girls and boys, adding more charm to their already adorable faces. Handmade amber teething necklaces come in various unique shapes and sizes and glow nicely, mainly because they are made from Baltic Amber, one of the world's finest amber stones. These are fascinating stones, with bubbles and natural particles inside the fossilized tree resin and various colors. 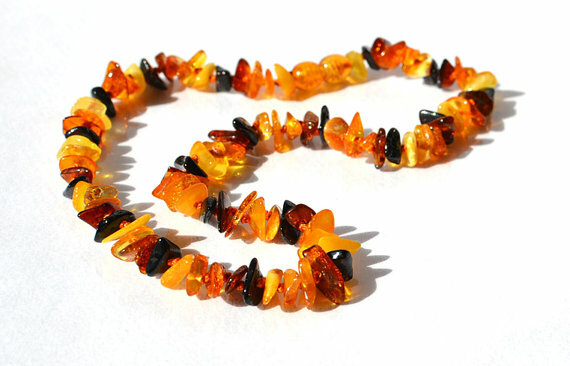 The most common color used for baby teething amber necklaces is cognac brown. So baby teething and amber work great together. If you wonder how, the answer is simple: amber is a natural remedy that must be worn against the skin in order to release succinic acid into the human body. Amber teething necklaces are used as a pain reliever for babies and toddlers and all it takes for its effects to be visible is to wear them next to the skin during the day. "it helped my precious. Although I am not sure about the results to the teeth, but the pain is relieved quite effectively. "